give your users a possibility to create personal accounts in your store. 'Send to' - your email that you want to use for receiving messages from the "Contact Us" of your webstore. 'Send a copy' - email that you want to use for receiving a copy of "Purchase email notification" and "Order shipped email notification" sent to your clients. 'Email from' - your contact email your customers see when getting notifications. It is recommended to use an email like 'no-reply@yourdomain.com'. 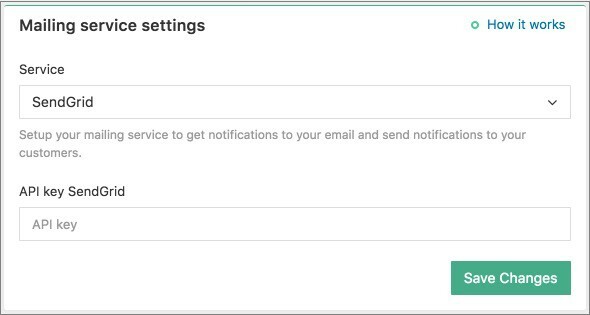 Go to AliDropship -> Settings -> Notifications to set up mailing service.